In most cases we can be there within hours and complete your repairs in one visit. Don’t let a faulty AC unit ruin your day. Call 702-723-4704 or fill out the form to the right and get your 5-star service call today. If you live in Las Vegas, Nevada and need AC repair, please visit out Las Vegas Air Conditioning repair page. Let the pros at Ambient Edge help you. Our NATE-certified experts are on call night and day, ready to fix any AC problem—from the most minor issue to the most serious emergency. What kind of AC repairs do you offer in Henderson? When you call us, we can answer your questions on the phone and help you decide if you need a service call or not. Our goal is to get you the best long-term solution for your AC problem. Do you offer 24-hour repairs? What about weekends? Yes and yes. We believe that 24/7 availability is essential to any decent AC service. You can call us any time, any day or night of the year, and you will be able to speak to a live operator. We can answer questions and connect you with our on-call team. If you need an emergency repair, we’ll get a team to you even if it’s the middle of the night on a holiday. We can help you. Ambient Edge is an authorized dealer for a number of energy-efficient, reputable brands of air conditioning units. We believe in offering our customers the best models at affordable prices, with full installation and a year of service included. All of our units are backed by our 100% Satisfaction Guarantee. This is in addition to the warranty from the manufacturer. We help you save money. When you buy from us, we want you to save the most money possible not only on purchase price, but on your long-term energy costs. We will run the numbers to figure out exactly which unit will save you the most based on your household needs. Installation is always free. Some AC dealers charge extravagant prices for installation. We have our NATE-certified specialists do it at no extra charge. We include ongoing service. You get one year of maintenance included with your purchase, which includes our recommended twice-a-year tune-ups to make sure your AC performs at its best. 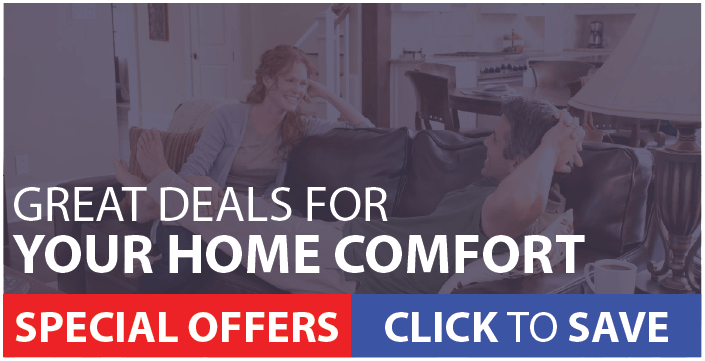 Why should I choose Ambient Edge instead of another Henderson AC company? True expertise. Many AC companies send out rookies who are basically learning on the job. That means their teams take longer to figure out the problem, take longer to fix it, and may make crucial mistakes. We don’t believe in this model. That’s why we hire only experienced technicians, and require that all of our technicians complete NATE certification, which is the highest standard in the AC industry. Flat rates. You should never be in the dark about what a repair is going to cost you—and yet that’s exactly the position most AC companies put you in. Their “estimates” often turn out to be inaccurately low, with tons of extra charges piled on the at the end. We refuse to follow that trend. Instead, we give you a clear, flat-rate estimate. It’s possible the job will cost slightly more (or even less), but our estimates tend to track true to the final price. 5-star service. We’re tired of seeing AC companies that don’t know how to treat their customers. A repair service is supposed to make your day better, not worse. We give you 5-star service from the moment you call us until the repair is done. We show up on time. If you’re like most customers, a late repair team is your #1 annoyance—because it wastes your time. Unfortunately, a lot of AC companies don’t have enough teams or don’t know how to schedule them. We do things differently. When we give you a window for your repair call, we show up on time within that window. We put emergencies first and make sure every customer gets the great service they deserve. Of course, don’t just listen to us. We believe that our Home Advisor service award, our A+ rating with the Better Business Bureau, and our consistently high customer reviews speak for themselves. We’re professionals, and we’re ready to help. Even one extra day without AC can be miserable. Don’t let it drag on. Call Ambient Edge and get your AC repaired by fast, courteous, knowledgeable professionals—with satisfaction guaranteed. Call us at 702-723-4704 or fill out the form to your right and speak with one of our service experts today.